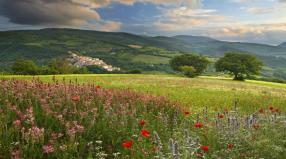 Discover with us the most interesting things to do in Valnerina ! The green valley of the Nera River is a land full of history, culture and tradition, great for a relaxing trip out of town far from the noise and the frenetic pace of the city! The tourist area of the Nera Valley extends in southeastern Umbria, on the border with the Marches and dominated by the Monti Sibillini. The pristine nature offers a striking sight in all seasons of the year! The main natural attraction is certainly the Marmore's Fall with the Nera River Park, a milestone for anyone who wants to visit the natural beauty of Umbria. In this fascinating environment you can explore many small villages, each characterized by unforgettable cultural beauties: the St. Benedict's Basilica in Norcia, the basilica and the monastery of St. Rita in Cascia, the medieval village of Vallo di Nera, the St Eutizio's Abbey in Preci, the Church of the Annunciation and the Sanctuary of the Madonna della Stella in Cerreto di Spoleto, or the beautiful castles perched above the hills from which still dominate and protect the valleys below. Another interesting destination for its landscape is certainly Castelluccio di Norcia, a small village famous throughout the world for the cultivation of lentil. In early summer the plateau is covered with an explosion on the feast of flowering, when thousands of tourists flock under the foot of Mount Carrier to see this show. Among the things to do in the Nera Valley, we suggest you see the pageants: they evoke the charm, the sounds and colors of art, past history and popular culture. 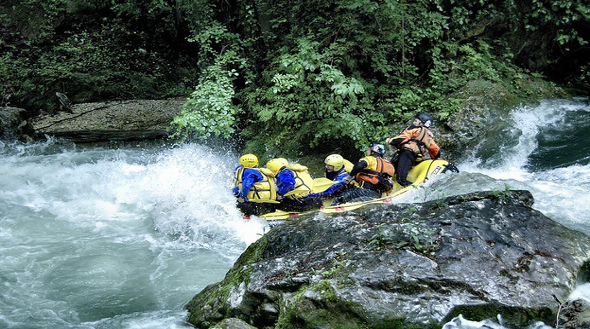 For the outdoor sports lovers (in water or out), here there is something to do for everyone! Nature offers the opportunity to make beautiful walks on foot, by mountain bike, by mule or horse as well as the free flight in the plateau of Castelluccio. With its narrow gorges, the Nera Valley is the ideal territory for those who practice free climbing, canyoning and rafting! Located 8 km from Marmore's Fall, there is Nahar adventure park where children and adults can enjoy suspended pathways made of trees formed by bridges, boardwalks Tyrolean loose cables, lianas, cable cars, log furniture and a climbing wall high over seven meters. Teens and children will also have the opportunity to participate in courses offered by the educational farm, where they will learn how to prepare the bread baked in a wood, milk the goats and make cheese, work the alpaca wool, pick olives or grapes, know hives and honey production. 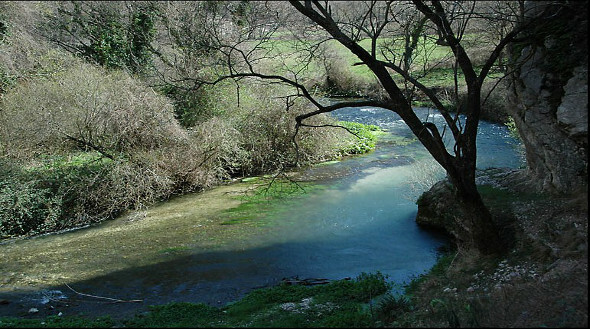 Are you looking for other things to do in Valnerina? In addition to the possibilities offered by the beautiful naturalistic scenery, this area is also known for its spirituality related to the places of St. Benedict, St. Rita and the ancients franciscan convents. For this reason it is constant destination of pilgrims who wish to find spaces for reflection and meditation. To finish, a taste of food and wine typical of the area can not miss! An idea about what you can eat in Valnerina? 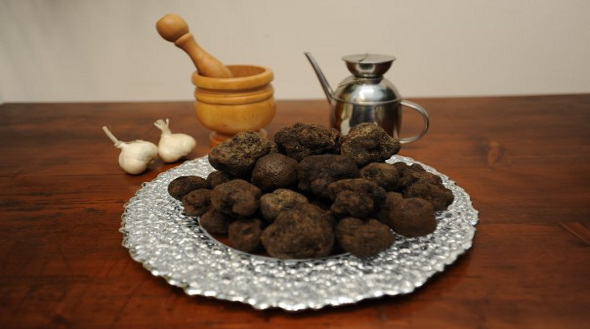 The black truffle, the ham and the sausages of Norcia, cheese, spelled, Castelluccio lentils and the saffron of Cascia. And yet .. trout and crayfish, venison, honey, mushrooms, asparagus and berries .. without forgetting DOC and IGT wines! >>View the best restaurants in the area of the Nera Valley! >> Click here and book. Then do not miss the opportunity to visit the farms and biological, educational farms and small sheep farms scattered throughout the territory.